Below you will find the schedule, breakdown of levels, class duration, and fees. 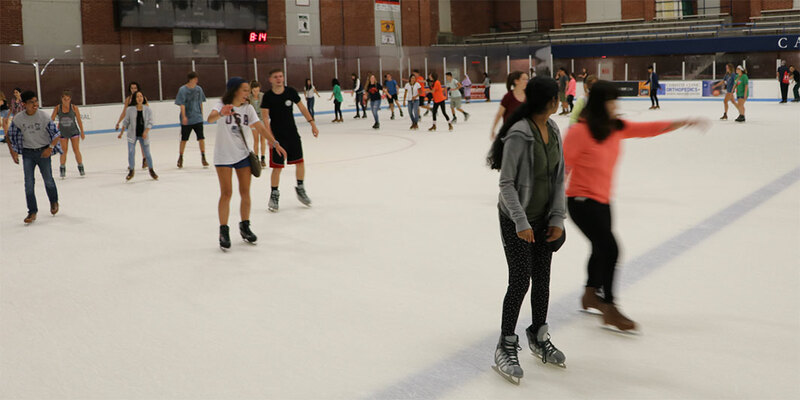 Students looking for skating course credits should see the University’s class listing for Kinesiology (The learn-to-skate program does not offer classes for credit). View class descriptions and prepare for the first day of class. By Mail: Mail to: Learn-to-Skate Spring 2019 UI Ice Arena 406 E. Armory Ave. Champaign, IL 61820Payment by credit card must be included. Mail-in registrations are handled in order of postmark date received. Refunds (minus $5 handling fee) are given before the first day of class. To receive the member rate for child/youth lessons, the parent or guardian responsible must be a Campus Recreation member. By Fax: Fax the completed form to (217) 333-1307. Faxes will be processed by date and time received. Faxes must include credit card information to be processed. ***Per University policy, email registration WILL NOT be accepted. *No Learn to Skate during the week of March 16-24 (U of I Spring Break).